Today, he looks back home in search for talent that could benefit from the financing and advice he can provide as a business angel investor. He went further to suggest that over the next five years, his investments in Caribbean startups could reach half a million dollars if the deals were right. This individual is not alone. Over the course of three months, we met with 220 members of the Caribbean diaspora in New York, Toronto, London, San Francisco, and Washington, DC. In addition, we received responses to an online survey from 636 others individuals, collectively claiming their origins in every single nation of the Caribbean. Our intention in conducting the study was to better understand the business and investment interests of the Caribbean diaspora and to use these findings to design a program that would make it easier for these diaspora dollars to flow back home. Through the study we found the diaspora to have a tremendous interest in making such investments and contributing to the development story of their countries of origin. More than 85 percent of the respondents to our survey indicated that they already give back to the Caribbean in some way, shape, or form. 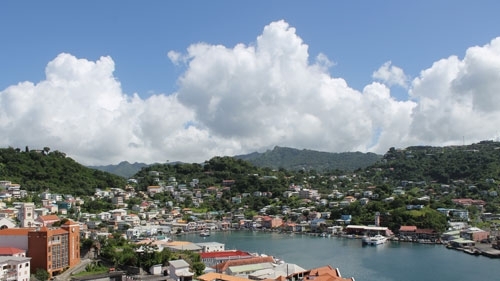 Besides the consistent flow of remittances and charitable giving, private sector investments are becoming a strong pull for the diaspora - one in four diaspora members invests in real estate and one in ten invests in a business venture of some form in the Caribbean. In general, diaspora members favored start-ups over small and medium enterprises or established public companies. In fact, 23 percent of diaspora members have made investments in new or early-stage ventures in the Caribbean. Among just the 850 diaspora members we engaged in the study, a pool of about $3.5 million dollars is available over the next five years for investments in early-stage startups in the Caribbean, seeding at least 25 startups across the region. When considering the full scale of the diaspora – beyond those individuals engaged in our study – this figure would easily increase many multiples. The willingness and ability of the diaspora to engage represents a significant untapped potential for Caribbean nations. While the money is out there, creating avenues for these funds to flow back home and ensuring that the regulatory environment for businesses is conducive to receiving such investments remains a challenge. Interventions such as the Entrepreneurship Program for Innovation in the Caribbean are trying to create such avenues and reduce transaction costs. The impact of increasing diaspora investments will be nothing less than a tremendous boost for innovation, technology and entrepreneurship in the Caribbean as a whole, not to mention the impact they will have on job creation and economic growth. Good morning. I saw this story in the december 22nd plublishment of the gleaner. Over in eastern jamaica we have 970 acres of land that we are looking for investors to start some development... We want to sell\ build partnership in making this side of jamaica ready for the vision 2030 development program. If our assets are seen valuable to the diaspora we would like a response as to how we can make contact and prepare ourselves for mutual benefits.... Please contact me at 1876 572-1146. Marcell fuller, thank you! One of these Silicon Valley chaps could parlay that success into setting up a crowdfunding platform aimed at connecting the diaspora with startups in the region. I expect such a thing could do very well if it took into account the social aspects that are so important when connecting investors with entrepreneurs.